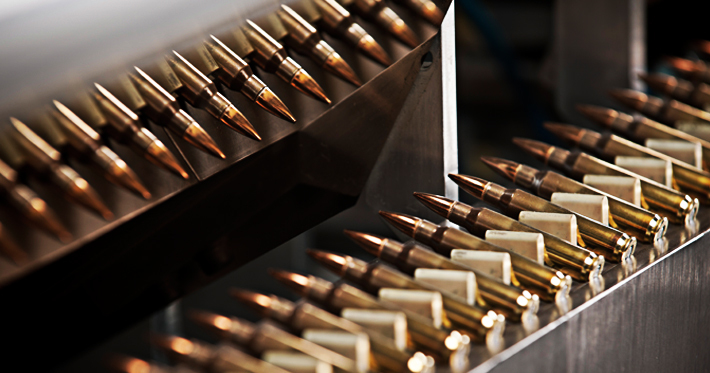 Caracal Light Ammunition (CLA), produces a range of diversified calibers and variants of small arms ammunition (SAA) for both military and special purposes. Established in 1994, CLA is a fully-owned subsidiary of Tawazun Holding and has since, extended its footprint across regional and international markets. Today, CLA remains the preferred choice among most saa users due to its nato-compatible production of calibers 5.56x45mm, 9x19mm, 7.62x51mm and 12.7x99mm ammunition as well as shot-gun shells and pyrotechnics. at CLA, its unfailing adherence to the implementation of total quality management (TQM) at its manufacturing facility has been instrumental in acquiring and maintaining the ISO 9001:2008 accreditation. additionally, its commitment to excellence was duly rewarded with the Sheikh Khalifa Industry Silver-Level Award in the year 2003.